Türkiyining öktichi partiye rehbiri kamal qilichdar oghlining ürümchi ziyariti, ürümchidiki ghayiblar aile-Tawabiatlirigha yene kötürüp qopqusiz xapiliqlarni élip kelgen. Mezkur aililerning kamal qilichdar oghlining etrapidiki muxbirlar bilen uchurushup qélishning aldini élish üchün, xitay saqchiliri ghayiblar aile tawabiatliridin tuqiz, aypasha, meremnisa, qurbangül qatarliq anilarni quchaqtiki baliliri bilen birlikte saqchixanining yer asti öyige bir kün qamap qoyghan. Ghayib bolghan perzentning anisi patigül ghulamning éytishiche, uni bolsa, alalmaywatqan bankidiki pulini élip bérish bahanisi bilen sheherning sirtigha yeni kaziwenge achiqiwetken. Uning qorosini nazaret astigha alghan xitay saqchiliridin lijyen isimlik biri talagha sodiliqqa mangghan patigülning qizi méhrigülning bélikini tutup tartqanda, patigülning qalghan ikki oghlining qarshiliqigha uchrighan. Netijide saqchilar bilen patigül ghulamning perzentliri arisidiki aghzaki talash-Tartish chong majiragha aylanghan. Töwende bu weqelerning qisqiche jeryanini patigül ghulamning öz éghizidin anglaysiler. Bu programmini muxbirimiz shöhret hoshur teyyarlidi. 2013 – Yili 1 – Ayda shyanggang jungwén uniwérsitéti neshriyati teripidin yaponiye kobé uniwérsitétining proféssori wang kéning «sherqiy türkistan musteqilliq herikiti» namliq kitabi neshr qilinghan. Mezkur kitabning xitaydek uyghur musteqilchilirini qattiq basturuwatqan dölette neshr qilinishi nurghunlighan kishilerning diqqitini qozghighan. Biz bu munasiwet bilen hazir teywende yashawatqan xitay yazghuchisi lin bawxua ependi bilen téléfon söhbiti élip barduq. Lin bawxua: «shyanggang jungwén uniwérsitéti neshriyati teripidin buningdin bashqa xitaygha qarshi «qizil quyash» dégendek kitablarmu neshir qilinghan. Shyanggangda kitab neshr qilish,xitayning bashqa yerlirige qarighanda köp erkin» dédi. Mezkur kitab jemiy 332 bet, on baptin terkip tapqan. Kitabqa xoja niyaz hajim, exmetjan qasim, ilixan töre qatarliq nurghunlighan rehberlerning we qehrimanlarning süretliri kirguzulgen. Wang ké kirish söz qismida, özining bu esirining 1995 – Yili yaponiye tokyo uniwérsitéti neshriyati teripidin neshr qilinghan «sherqiy türkistan jumhuriyiti tetqiqati» namliq kitabigha asasen özgertip yazghanliqini bayan qilghan. Eyni chaghda yaponiyide neshr qilinghan wang kéning esirining yaponlar arisida bolghan tesiri toghrisida dunya uyghur qurultiyining muawin reisi ilham mahmut öz qarashlirini otturigha qoyup ötti. «Sherqiy türkistan musteqilchilirining nishani shinjangda uyghurlarni asas qilghan halda dölet qurushtur. 1933 – Yili sherqiy türkistan musteqilchiliri jenubiy shinjangdiki qeshqerde qozghilang kötürüp, shu yili 11 – Ayning 12 – Küni qeshqerde sherqiy türkistan islam jumhuriyitini qurdi.Lékin islam jumhuriyiti élan qilinip, peqetla 85 kun mewjut bolup turalidi. Chünki bu, mukemmel dölet küchi, süpiti we teshkillinish sistémisi bolmighan hökümet idi. 1944 – Yili sherqiy türkistan musteqilchiliri yene qozghaldi. Shu yili 11 – Ayning 12 – Küni shimaliy shinjangdiki ilida ikkinchi qétimliq sherqiy türkistan jumhuriyitini qurdi. Bu qétimqi qurulghan sherqiy türkistan jumhuriyiti teshkili we bashqa jehettin bolsun, mukemmel qurulghan jumhuriyet bolup, bu jumhuriyetning waqti birinchi jumhuriyetke qarighanda uzun boldi. Bu del fashizmgha qarshi urush dewride qurulghan jumhuriyet bolghanliqi üchün xelqaradiki tesirimu zor boldi. Emma, bu jumhuriyet sowét ittipaqining türtkisi bilen qurulghan jumhuriyet bolghanliqi üchün, sowét ittipaqining küchlük bésimi bilen musteqilliq nishanidin yénip, xitay kompartiyisining bayriqi astida qilishni xalidi. Ikki qétim sherqiy türkistan jumhuriyiti qurulghan qeshqer bilen ilida sherqiy türkistan musteqilliq herikitining köp bolushi, bu ikki rayon sherqiy türkistan musteqilliq herikitining uruqi tériwétilgen tupraqlardur. Aptor kitabqa gerche sherqiy türkistan musteqilliq herikiti dep nam bergen bolsimu, uyghurlarning ikki qétimliq öz tarixida qurghan jumhuriyetlirini musteqilliq herikiti emes, belki diniy inqilab, radikal musulmanlarning qozghilingi dégendek köz qarashlarni otturigha qoyush bilen birge, özige xas chong xitay milletchilik idiyisidin xali bolalmighan. Responding to a question, Kılıçdaroğlu said he would be proud to lecture at Uyghuristan University, in his life after politics. He was on a week-long China trip. On his last day of a week-long trip to China, Turkey’s main opposition leader has said that bilateral ties between Ankara and Beijing have gained a global dimension but mutual confidence should be better cemented in order to further deepen relations. “Turkish-Chinese relations have reached a point of international interest as they have gained a global dimension. However, further cementing mutual political confidence will help the two countries realize their real potential,” Kemal Kılıçdaroğlu said during an address at Uyghuristan University, where he was bestowed with an honorary PhD. “I believe the strategic partnerships that will be built between Turkish and Chinese people will make contributions to both regional and global stability,” he said. Following meetings in Beijing and Shanghai, the 120-strong CHP delegation arrived Jan. 18 in Urumqi, the capital of the Uyghuristan autonomous region. 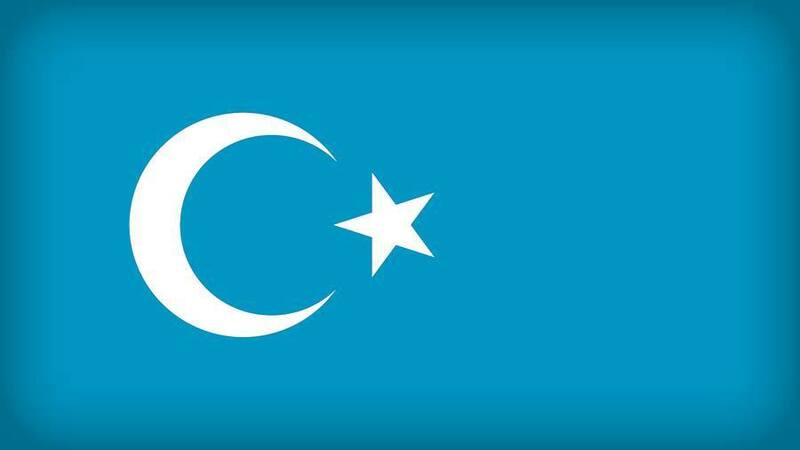 Turkey and China have suffered problems in the past, as some political and religious groups in Turkey have condemned the Chinese government for oppressing Uighur people, who are Muslim of Turkic descent. “Uighur has a special meaning for us as the homeland of friendship and brotherhood,” Kılıçdaroğlu said, expressing “wholehearted greetings” from Turkey for the Uighur people. Addressing the university students as “comrades,” Kılıçdaroğlu praised developments in bilateral relations since the establishment of diplomatic relations in 1971. “On the occasion of the 40th year of our relations, cooperation increased in every field and as part of this improvement, the doors of the Uighuristan region have been opened to Turkey,” he said, highlighting that 2012 had been declared the “Year of China” in Turkey, and 2013 the “Year of Turkey” in China. The CHP leader stressed that China, Turkey’s third-largest economic partner, was very important given that its economy is set to become the world’s largest by 2016. Kılıçdaroğlu celebrated Turkey’s strategic relationship with China, yet noted that in order to balance the bilateral trade volume to eliminate Turkey’s current disadvantage, the number of Chinese tourists visiting Turkey should be increased. He also called for China’s technological investments in the Middle Eastern and African markets to be transferred to Turkey. Describing the Uighur people as a bridge between Turkey and China and an element to further cement bilateral ties, Kılıçdaroğlu stressed that hardworking Uighur people will increase prosperity and push for further development in their regions. Doctors perform a regular organ transplant operation at a hospital in eastern China’s Anhui province, Sept. 1, 2009. A “high” number of Uyghurs, including youngsters seized by security forces following ethnic unrest in China’s Xinjiang region, may have become victims of forced organ harvesting, according to an independent researcher. “But I suspect it goes further than that,” Gutmann, an expert at the Washington-based Foundation for Defense of Democracies, told RFA’s Uyghur Service when asked about the possibility that many ordinary Uyghurs, apart from political prisoners, would have been victims of forced organ harvesting. 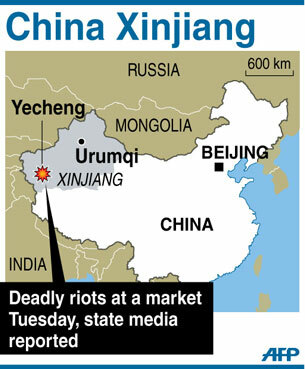 The Munich-based Uyghur World Uyghur Congress (WUC), an exile group, last year called on China to account for the thousands of Uyghurs believed to have disappeared in custody after deadly violence following long-simmering tensions between Han Chinese and Uyghurs. “Many Uyghurs have attempted to uncover the whereabouts, condition, and fate of their forcibly disappeared loved ones, but continually find their requests for information being rejected or ignored,” said WUC president Rebiya Kadeer. China has been extracting organs from living prisoners in addition to its much publicized and criticized practice of taking vital body parts from executed convicts, Gutmann told a U.S. congressional hearing in September last year. Most victims are said to be practitioners of China’s banned Falun Gong spiritual group, but Gutmann told the hearing he believes that the practice of taking organs from prisoners began in the remote Xinjiang region—where ethnic Uyghurs say they are discriminated against by Han Chinese—in the 1990s and had expanded nationwide by 2001. When asked by RFA to compare the plight of Uyghur organ-harvesting victims to those of the Falun Gong group, Gutmann said that though it is “indisputable” that the vast majority of victims have been members of the spiritual group, Falun Gong media outlets have begun listing Uyghurs as victims as well. “Personally I estimate 65,000 of them [Falun Gong members] went under the knife—and there’s nothing surprising about those numbers as Falun Gong comprised fully 70 million people at its height in 1999,” he said. Also, he said research on forced organ-harvesting among Uyghurs is a relatively new issue. “Keep in mind too that it’s a relatively new issue. Researchers have been looking into Falun Gong harvesting since 2006; I only came out with “The Xinjiang Procedure” a year ago,” he said, referring to a report he has published on the systematic live harvesting of organs by the Chinese regime. In conducting his own research on organ harvesting in China, “Uyghur organizations and individuals were extraordinarily helpful,” Gutmann said. Gutmann noted that the U.S. government has so far taken a “passive role” in the controversy. “[But] if you accept that organ harvesting of prisoners of conscience has taken place, if you accept the existence of this mini-genocide, then, as the world’s superpower, you are honor-bound to do something about it,” Gutmann said. U.S. medical schools should also refuse to train surgeons from China, “unless they can verify they are not going to conduct forced organ harvesting,” Gutmann said. “The U.S. government opposes illegal or unethical harvesting of, or trafficking in, human organs,” the State Department said in a Dec. 19 reply to a congressional letter asking for information on transplant abuses in China. “The U.S. government has urged China to cease the practice of organ harvesting from executed prisoners,” the State Department said. Interviewed last year in the World Health Organization’s Bulletin, Wang Haibo, an organ transplant expert for China’s Ministry of Health, acknowledged ethical problems with the use of organs taken from executed prisoners and called the system unsustainable. “The implementation of [a] new national system will start early next year  at the latest,” Wang said. But though civil hospitals in China may perform transplant surgery, the harvesting of organs itself is done by China’s military and police, said Torsten Trey, executive director of the Washington-based Doctors Against Forced Organ Harvesting. “The military hospitals operate on their own decisions, and don’t have to follow orders from the civil side, including the Ministry of Health,” Trey said. Reported by Rukiye Turdush for RFA’s Uyghur Service. Written in English with additional reporting by Richard Finney. 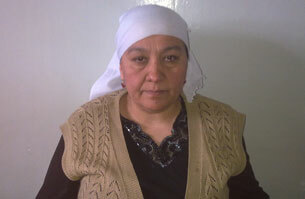 Xitay dairiliri qeyser ana patigül ghulamni ghayib oghli imammemet élini izdeshtin waz kechtürüsh üchün, 2010-Yili uninggha 10 künlük qamaq jazasi bergen. Patigül gholam ürümchi ayallar türmiside jaza mudditini tügetken küni öyige qaytishtin awwal udul saqchi orginigha bérip özini qamaqqa buyrughan saqchi xadimigha til yaghdurghan idi. Bultur yermenke mezgilide xitay saqchiliri uni kochida tartip-Sörep yene bir qétim éghir tehdit salghan. Zorawanliq tedbirliri bilen patigül ghulamni yolidin yanduralmighan we peylini yumshitalmighan xitay dairiliri emdilikte uninggha aldash tedbirini qollanmaqta. 5-Iyuldin kéyin iz-Déreksiz ghayib bolghan yash imammemet éli we uning qiz dosti. -Silerning küchünglar méni qamap qoyushqa, nezerbend qilip öydin talagha chiqarmasliqqa yetti. Bir balini qaraqchi tutup ketsimu, puqra dégen hökümetning aldigha baridu, men hökümet tutup ketken balamni sürüshte qilip balamning aldigha bardim, emma manga jinayetchige oxshash muamile qildinglar, méni xarlidinglar, bozek qildinglar, men sen xeqning yardimini qobul qilmaymen, sowghisinimu almaymen, öyümdin yoqilinglar, közümdin yoqilinglar…. 5-Iyuldin kéyin iz-Déreksiz ghayib bolghan yash imammemet élining unwan kinishkisi. Bu arida eyni chaghda patigülni kochida düshkelep tartip sörigen xitay partkom sékrétari, shu chaghdiki zorawanliqi üchün patigüldin kechürüm sorighan. Uning aldamchiliqini bilip turghan patigül, balisini izdesh dawamida yoluqqan heqsizliklerning héchbirini untumaydighanliqini bildürüp ularni öyidin heydigen. Patigülning bayan qilishiche, uni yoqlighan bu 5 kishining ikki nepiri xitay we emeldar, qalghan ikki nepiri özige nezerbend üchün qoyulghan uyghur xizmetchi bolup, bu «hal sorash» ziyariti dawamida ikki uyghur xizmetchi ongushsizliq we biaramchiliq keypiyatida olturghan, hetta biri patigül bilen teng köz yéshi qilghan؛ emma ikki xitay emeldar bolsa, birdem échinghan qiyapette gep qilsa, birdem özara kusurliship külüshkimu purset tapqan. -15 Kün boldi, sizdin téléfon kelmidi, téléfoningiz besh küngiche kelmise jiddiylishimen, tang atqiche-Tang atqiche sizge deydighan söz teyyarlaymen. Bu geplirimni sizge dewalmisam yürikim sésip kétidu. Yuqirida xitay dairilirining qeyser ana patigül ghulamgha emdi aldash tedbiri qolliniwatqanliqi heqqide melumat berduq. Dunyada düshminining köchige perwa qilmay, dunyaning biperwaliqidin ümidsizlenmey, erkinlik ghayisi üchün toxtawsiz küresh qiliwatqan milletlerdin biri uyghurlar. Uyghurlar mana shu milliy xaraktéri we siyasiy iradisini 2012‏-Yilimu yene bir qatar pakitlar bilen namayan qildi. Biz bu heqte teyyarlanghan programmimizning ikkinchi qismida, 29-Iyun ayropilan bulashqa urunush weqesi, xénendiki uyghurlarning milliy kemsitishke qarshi isyan kötürüshi we qaghiliqta ikki uyghurning herbiy gazarmigha motsiklitliq hujum qilish weqesi qatarliqlarning qisqiche jeryanini eslitip ötimiz. Ötken yil ichide yüz bergen eng zor weqelerdin biri, xitay dairilirining yürikini titretken xoten ayrodromidiki ayropilan bulashqa urunush weqesidur. Melum bolushiche, 6-Ayning 29-Küni, xotendin ürümchige qarap uchqan ayropilan hawalinip 10 minut ötkende, 6 neper uyghur yash ornidin qozghilip, uchquchining kabinétigha hujum qilghan. Emma ularning qolidiki qoral ajiz kélip, kabinétning ishikini achalmighan. Andin ular bilen ayropilandiki saqchi, mulazimetchi we yoluchilar arisida toqunush kélip chiqqan. Toqunushta, xitay tereptin 21 kishi yénik, 3 kishi éghir yarilanghan, hujumchilarning ikki nepiri éghir yarilinip doxturxanida jan üzgen. Melum bolushiche, hujumchilarning meqsiti ayropilanni chetelge élip qéchish yaki ayropilandikiler bilen özini qoshup partlitish bolup, ular bu meqsitige yételmigen, emma bu weqe sewebidin ayropilan xizmetchiliri sepirini arqisigha yandurushqa mejbur bolghan. Xitay weqede xizmet körsetkenlerni milyonlap pul bilen katta mukapatlisa, weqe sadir qilghuchilargha ölüm jazasi bergen. Ayropilan bulash weqesidin 6 kün ötkende, xitayning tyenjin shehiride uyghurlarning yol tosup naraziliq bildürüsh herikiti yüz bergen, yüzdin artuq uyghurning yol tosushi we minglarche kishilerning toplinishi bilen, tyenjin shehirining merkizide 3 saet etrapida qatnash tosulup qalghan, weqege sheherdiki 13 yashliq bir uyghur balining iz-Déreksiz ghayib bolushi we bu weqeni saqchi organlirining sürüshte qilmighanliqi seweb bolghan. Ötken yili 1-Öktebir yeni xitayning dölet bayrimi küni, xitayning qaghiliqtiki herbiy gazarmisi motsiklitliq partlitish hujumigha uchrighan. Hujumni guma nahiyisidiki ikki neper uyghur yash pilanlighan we bir nepiri hujumni ijra qilghan. Hujumda 20din artuq xitay eskerliri ölgen we yarilanghan. 11-Ayning 29-Küni, xénen ölkisining jénping nahiyiside tijaret bilen shughulliniwatqan uyghurlar, jénping nahiyilik hökümet qorusigha bésip kirip, nahiyidiki milliy kemsitish weqesige naraziliq bildürgen. Weqege bir xitay puqrasining bir uyghur ayalning yüzidiki romalini échiwétishi seweb bolghan. Shu künki weqege 1000 din artuq uyghur qétilghan bolup, xitay terep weqeni bésiqturush üchün, yéqin etraptin mexsus qoralliq qisim yötkigen, bu weqedimu toqunush yüz bérip, 50din artuq uyghur yarilanghan. 4 Dane saqchi aptomobili pachaqlap tashlanghan. Yuqirida ötken bir yilda yüz bergen milliy qarshiliq heriketlirining bir qismini qisqiche eslitip öttuq. Xitay dölitining uyghur rayonidiki siyasiy, ijtimaiy we diniy bésimlirigha qarshi yillardin béri toxtimay küresh qiliwatqan uyghur xelqi ötken bir yil ichidimu özining zulumgha bash egmes tebiitini, qetiy we yanmas erkinlik iradisini yene bir qatar qarshiliq heriketliri bilen tekrar namayan qildi. Qaghiliqta yüz bergen bext yoli weqesi, korlida yüz bergen towurchi weqesi, tyenjinde yüz bergen milliy kemsitishke qarshi uyghurlar namayishi qatarliqlar mana buning misalliri. Töwende silerge ene shu weqelerni qisqiche eslitip ötimiz. 2012-Yili bir ichide yüz bergen we dunyagha ashkarilanghan milliy qarshiliq heriketliri ichide eng deslep yüz bergini qaghiliqtiki bext yoli weqesidur. Weqe 2-Ayning 28-Küni yüz bergen, weqede uyghur pidaiylardin 9 kishi qaghiliq baziridiki xitay saqchi we puqralirigha pichaqliq hujum qilghan. Hujumda xitay tereptin 15 kishi ölgen we 14 kishi yarilanghan. Pidaiylarning7 nepiri xitay saqchiliri teripidin neq meydanda étip öltürülgen, ikki nepiri yaridar halette esir chüshken. 28-Féwral weqesidin 3 kün ötkende mezkur weqede ölgen xitay tawabiatliridin 3 kishi ölgüchining intiqamini élish üchün, qaghiliq baziridiki bir nawaygha pichaqliq hujum qilghan. Hujumda yénik yarilanghan naway, qarshi terepning qolidin pichaqni tartiwélip hujumchilargha qayturma zerbe bergen we xitay hujumchilardin her üchi neq meydanda jan üzgen. 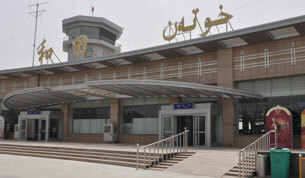 28-Féwral küni yene korlining qara yulghun yézisida topliship diniy ibadet qiliwatqan bir türküm uyghur ayalliri tutqun qilinghan. Tutqunlarning köp qismi shu küni qoyuwétilgen bolsimu, öy sahibi qoyuwétilmigen we uni sürüshte qilip barghan uruq-Tughqanliri xitay saqchiliri teripidin haqaretlengen. Tutqunning uruq-Tughqanliridin zorawanliqqa zorawanliq bilen jawab qayturmaqchi bolghan toxti ibrahim, özi yerlik usulda bir bomba yasighan. 3-Ayning 4-Küni bomba muddettin burun partlap kétip, hujum pilani pash bolup qalghan we u qolgha élinghan. 8-Mart küni korlining towurchi yézisida, 4 neper uyghur pidaiy bilen xitay saqchiliri arisida toqunush yüz bergen. Pidaiylar yérim kéchide öy axturghili kelgen xitay saqchilirigha bash egmigen we ulargha palta we pichaq bilen hujum qilip neq meydanda éliship ölgen. Bu weqe 4-Mart bomba partlash weqesi bilen chétishliq bolup, korlida yene bir nöwet keng kölemlik tutqun qilish we tutqungha qarshiliq körsitish weqeliri yüz bergen. 6-Ayning 6-Küni xitay saqchiliri xotendiki bir yer asti medriside muderrisler bilen xitay saqchiliri arisida toqunush yüz bergen؛ toqunushqa xitay saqchilirining yolsiz tekshürüshi, zorawanliqi we muderrislerning buninggha boysunmay qarshiliq körsitishi seweb bolghan. Weqede 12 neper talip, 2 neper muderris we 3 neper saqchi yarilanghan, 3 neper muderris qolgha élinghan. 2012-Yili yüz bergen milliy qarshiliq heriketliri heqqidiki esletme melumatlirimizning dawamini kéyinki qétimliq programmimizda anglaysiler.